FIFA President Gianni Infantino believes that football is the “future” of India. “The FIFA U-17 World Cup has been a resounding success with records already being broken. India is a continent, not only a country. India has now become a football continent!” Infantino spoke to the press after the FIFA Council meeting in Kolkata on Friday. With the FIFA U-17 World Cup India 2017 set to conclude on Saturday in Kolkata, FIFA chief praised the ongoing tournament here as a “resounding success”. “The FIFA U-17 World Cup in India is a resounding success with some records broken. 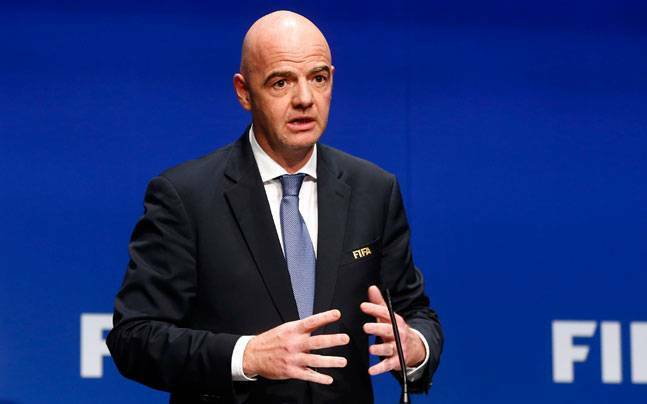 India is not only a country but a continent in itself,” said Infantino, as quoted by The Times of India. But I have now found out that India is also not only a football country but is a football continent. The way the (FIFA U-17) World Cup has been perceived by the people of India has been amazing,” he added. This edition of the U-17 World cup has made the record of highest total attendance. The FIFA event will also break the average attendance feat set by the Cricket World Cup 2011.